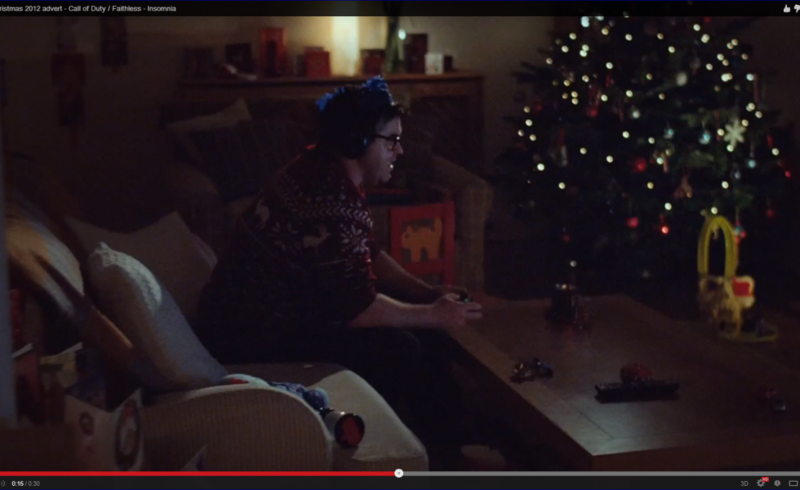 Yes; that was me you saw in a Tesco Advert. I think this qualifies as probably the most unusual things I have done in 2012. Getting an invite asking me if I want to help on a project that was looking for a Video Game playing Dad I was happy to help. Discovering that it was an audition for an advert then deciding to walk right in and audition just to see what happens explains something of how I approach opportunities. I am on screen for a little more than 3 seconds. I sat on that couch and played a video game for nearly 7 and a half hours but that is only part of the experience. Screentests, wardrobe tests , makeup, lighting , being directed but not acting and when I say ‘YES’ it really was due to a successful event on screen. The work that goes into preparing for such a production and the work that occurs afterwards is impressive and that is an understatement. So yes I appeared in an advert and having seen the range of adverts that have been produced for this campaign I am left admiring what they are doing with the themes and the tunes.The most interesting part in this experience was taking a lesson from @sizemore and realising that until it was on the screen then there was no point in talking about it. ← One more before the end of the world.